Pros: AWAA staff is always friendly, courteous, well informed & very responisve. I highly recommend them. We are in the waiting process for our second child. Cons: Long wait for our second child but this is not AWAAs fault. Just the current adoption cicumstances. AWAA keeps us informed regularly. Reviews: Very affordable & sound agency. I strongly recommend them. Pros: From beginning to end AWAA was supportive, knowledgable, kind, compassionate, and exhibited the highest level of integrity one could expect. We submitted our dossier to China just a few months before all of the major changes in that program happened. With so much uncertainty, we could have been very discouraged, but our agency helped us as we navigated the paperwork, deadlines, and uncertainties that the changes brought. We knew that their staff prayed daily for the families that they work with and that we were in good hands (THE BEST). They patiently answered all of our questions and we had many due to our special needs adoption. All of our paperwork was submitted on time and in excellent order. And when it came to travel, we had no worries. I had heard so many crazy stories about travel nightmares, but ours was incredibly smooth, with no surprise fees. We had fantastic guides and accomodations. Honestly, I could not imagine our experience to be any better. AWAA was not just an agency, but a friend. Reviews: We highly recommend this agency. Pros: From the very first e-mail, AWAA was quick to respond to any and all my questions. As with any adoption process, there are delays and unknowns, however, America World staff was always quick to respond to questions and provide the most accurate information provided. During our process, many agencies would give their families rumors of what was taking place which led to many emotional roller coasters. America World never provided any information until the source was verified and the information was indeed factual. I appreciated that. Our family coordinator was amazing. She would check in with us and often times prayed with me over the phone. The staff of America World meets weekly to pray for their families and the children that await those families. Our travel was exceptional. Our in country guides and staff were superb. They walked us through every single document and made sure our trip was as easy as possible. America World staff arranged every detail of our travel and hands down, I wouldn't go with any other agency. We adopted from China and spent 17 days in country. The entire visit, our guides were there to answer any and all questions. Once we were home, we received reminder information about when our post placement reports needed to be completed. They literally sent us the forms and all we had to do was answer questions. Super easy. America World has NO HIDDEN FEES! They include in their estimate of cost all fees including average travel ... even accounting for some spending money. My best friend adopted a baby girl from Ethiopia with AWAA that was extremely sick. AWAA went out of their way to find her special formula and ship it into the transitional home just for this baby. They are daily working to make their programs streamlined and as easy on adopting famlies as possible. As with any agency, international adoption has unknowns and circumstances that are outside of the agencies hands. AWAA does everything they can to advocate for their families and the children waiting to be placed into their arms! I love that America World's vision isn't simply adoption. Their desire and mission is orphan advocacy. Through their Orphans Ticket Home Campaign, this agency is working to get 5,000 children's paperwork investigated and made ready so they can be placed into the adoption system. Your child may be one of these children as these children aren't just adopted into AWAA homes but are simply placed into the system and made avaiabe for adoption. If we adopted again, we would definitely use AWAA. Very impressed!! Cons: During the process, I couldn't understand why other agencies were receiving information that AWAA didn't seem to have. I realized after some time that the other agencies would share any and all rumors. AWAA has a firm committment to only share what is necessary and what is factual with their families. They feel this keep the process less emotional. International adoption is not for the faint of heart. Many of the things that happen are not in the hands of the agency but it is critical that the agency advocate for their families. America World does a phenominal job of of that! Reviews: I have recommended MANY families to AWAA and have watched many families be blessed by the work of this agency. Since returning home, I have volunteered for AWAA as their hands in our local state ... that is how much I think of them and the job they did. If I didn't think they were top notch, I wouldn't spend the time I do educating families on this agency and all the benefits from choosing this amazing Christian adoption agency! Pros: This agency communicated with us either directly or indirectly every week. There were weekly prayers concerning the children being reviewed, agency, staff and clients. We received weekly updates answering questions for each stage of the process. Our agency was always great about getting back to us in a timely manner over every concern, even when staffing cutbacks had to be made. This agency EVEN called us on a Sunday afternoon to match us with our daughter. The travel was coordinated totally by the staff and it could not have been more smooth. Our accomodations were great and the staff in China were beyond efficient in handling ours and at least 13 other families to complete the necessary steps in returning home in a timely fashion. Their instructions for each step of the journey were very clear. I would definitely recommend this agency. We plan to adopt again and I wouldn't think of going anywhere else. Reviews: The staff is exceptionally competent. Pros: My husband and I started our adoption journey with a small intimate very quality agency here in our home town. We wanted the experience of walking in and working with people face to face. The agency was Gifts of Love (GOL). As the China adoption process slowed to a snails pace it became increasingly clear, no matter how great our agency was, we wouldn't see a referral to a healthy Chinese child until 2015 or later. In our late 40's early 50's, that was a pronosis that was deeply discouraging. We had heard about a special needs program, that would give us a referral much quicker--and frankly felt more right to us than a healthy referral, once we learned about the program. But, the special needs program was not available to us through GOL. So we were left to hope and pray something miraculous would happen and we'd see a referral to our little girl and finally get our family started. This was not the fault of GOL, it was merely the circumstances of the program we chose to go with (specifically the China adoption program--which the regulations and availability of Chinese Children for international adoption grew smaller, yet the list of waiting families grew bigger). We logged into China (LID) in July of 2007, in November of 2008, after 16 months of waiting--and the possiblity of a referral dismal at best, we got word that our agency GOL had merged with America World Adoption Association (AWAA). At first we were a little distraught at the loss of our special agency--that took such great care of us. Then, we researched AWAA and had our first introductory informational meeting, and we realized this merger was a miracle for us! It opened up opportunities for us to make our dream of growing our family through adoption a reality again. They had several programs we qualified for that GOL did not have, one of which was the China Waiting Children Program (WCP). We researched many programs with various coordinators of those programs and landed on the WCP! Christmas eve 2008 we applied and August 11, 2009 (just 8 months later) we rec'd a referral to a little girl with a corrected heart and Hep-C. From the day of the referral to the day we landed in Xi'An City to meet her--there were some "out of the box" request we had to make. AWAA was right there with us--going the extra mile to get us the information we needed and assured us with the proper steps and guidelines are followed. The guides in each province were amazing! When we needed to change anything--it was always never a problem. Infact, we had a failed adoption in our travel group--and it is my understanding AWAA was incredibly supportive of that couple, doing everything they could for them in communicating with the local and national authorities in China to be sure they were ok. Our little girl is now home--and she her heart is perfect--the repair in China was excellent (according to our cardio doc) and the Hep-C, well, it's a miracle, but she tested negative to all Heps and infectious diseases in China (AWAA requested blood and liver test for us--something most agency will not do for you and the orphanage will not do either--but in both cases the agency and the orphanage went out of the box and did the testing, which was a relief to us before we left for CHINA!) and here in the states. She is beautiful--we call her our Chinese Princess--she looks like a princess--truly. And her personality is so JOYFUL and loving--it blows our minds everyday how blessed we are to have her. There are so many people that had a hand in making our dream come true--bring our Izabella home to us--but if not for GOL working with AWAA to help 40 families at GOL in the China program that faced a very long--if not indefinate wait to grow their families--we'd still be waiting--I just heard a couple days ago--the wait for our LID date is now in year 2016 or later! This would mean my husband and I would never become parents--and my 36 year dream to adopt a child and be a mom would never happen. In 2016 I would be 56 and my husband 58--just too late to start a family. We'd highly recommend AWAA to any family pursuing the dream to star a family through adoption. In addition to the above: -I was comforted by their willingness to pray specifically for us when we felt we needed it. And they prayed weekly as an organization for all the families. As a Christian--this was an important factor for us. -I was impressed with their ability to change processes as the China program changed to allow for the best chance for matching AWAA families quickly. -I was impressed with their communication system with families and my emails and phone calls were always promptly returned. -I was impressed with their realistic approach to information about timelines. This is a hard thing to predict and it's easy to want to dodge--but they make every effort to give you the information to have some idea what to expect--instead of leaving it open ended. -I was impressed with how kind and compassionate all the people at AWAA were with our family--as we pursued our Izabella. -I was impressed with their ability in a tough international adoption climate worldwide--that they are good stewards of their (our) money which allows those that decide to entrust their journey to them--know they will be solid financially down the road. This is huge to us--we also were very fortunate our agency GOL was also responsible to their families financially by making the decision to merge with AWAA in order to give our family and all others waiting opportunities that were dead-ended with their own resources at the time. Again--if you're in the hunt for an agency--it's a tough decision to make as a "new comer"--but I would highly recommend (and have recommended them to families that have approached us since we returned home in November with our daughter). I wish eveyrone the God's Speed on their journey--the blessings in this journey are so many--and so many are unexpected. We feel blessed with AWAA and the entire adoption community we've come to know and love deeply. Cons: We have no negative comments about AWAA. I know this sounds fishy--but seriously--we were very pleased with what they did for our family. Reviews: We have no other comments about the agency--they were great! Highly recommend them. Pros: This was our third adoption from China with AWAA. We started a NSN adoption, but were able to change to the SN program after a year without a change in our DTC status. AWAA has an exceptional SN program, and they truly advocate for waiting children. I believe everyone at that agency wants the best for both the children and the adoptive families. The staff was very encouraging and supportive throughout the changes in our paperwork, and the social services department guided us through the changes in our I-800 paperwork. Nothing was left for us to figure out on our own. We could call/email with questions and get an answer in about 24 hours. All important milestones were met with phone calls, not emails, from AWAA. These included all approvals and travel teleconferences. Pre-travel preparations were taken care of by AWAA (in-country itineraries, appointments, tours, several meals, hotels, etc.) and the prices, though higher now than five years ago, were reasonable. Excellent guides helped us throughout the entire trip and we were never without help while we were in China. Our child has very serious heart disease and the guide was very helpful as far as working with us and the airlines to request oxygen for the flight. She even made special trips with us to meet with airline personnel. She also took extra time to help us during our child's medical check up. Follow-up by AWAA consisted of phone calls, questionnaires, and emails, as well as mailings to help us get started with a Social Security number, our child's US passport, etc. Cons: There were really no cons during this adoption with AWAA. Since the wait for China referrals has slowed considerably, the staff at AWAA has cut back their hours, so we had to use email more frequently than phone calls for this third adoption; response time was a little longer than back in 2004. Also, prices have increased since 2004, but I believe that has happened across the board for all agencies now. Reviews: I felt that we were in the best hands during this adoption. This adoption was a bit more uncertain in that our child was very sick and needed help. Everyone at AWAA did their best to help us. I highly recommend AWAA to any Christian family who desires to bring a child into their family. Pros: This was our first SN adoption and the staff at AWAA worked very well with us to help us through the maze of a SN adoption. They were very knowledgeable about China's requirements and were always available to help us via email or phone calls. AWAA did our homestudy and the social worker did her best to work with our schedules and make herself available. Our travel to China was excellent, and the agency arranged all of our in-country travel. Hotels and guides were the best; we loved the arranged tours as well as the free time to explore on our own. Once we got home, the staff at AWAA called us to see if we needed any help. They provided outside resources as we needed them, and kept tabs on us until our child was more settled. We never felt that our agency "quit" after the adoption was finalized. We always felt cared-for. Cons: The social services department was a little difficult to deal with. It was hard to get returned calls from the director at times. Otherwise, everything was great. Reviews: AWAA is an excellent agency with a solid history of integrity. They were always up front with us about any changes to the adoption process/costs, and were always careful to be conservative in their estimate of when we'd receive a referral. They did not sugar-coat anything, but told us the truth. This is a Christian agency, and it is tailored to Christian clientel, thus they pray for us and ask us to do the same. Pros: Our adoption process was clearly spelled out with regular mailings indicating what each step of the process was and what our responsiblity would be in completing that process. When we ran into difficult parts, we could call or email our family coordinator and get a response within 24 hours, though it was usually much less time than that. Once we received our referral, the agency kept in close contact to let us know what would happen next. We even had a two-hour teleconference with everyone in our travel group and the travel coordinator, so we could know exactly what our trip would be like and ask questions. AWAA does an excellent job of arranging travel, has superb guides in China, and makes sure we are well-cared for. Hotels are top-notch. Cons: Once we got home, I had to figure out on my own how to get a Social Security number, birth certificate, and passport for my child. However, AWAA does provide information on federal forms to fill out as needed. Some of these items were difficult for AWAA to help with because the procedures to obtain them vary by state and AWAA cannot know each state's requirements. Reviews: AWAA was very helpful in all aspects of our adoption, from initial paperwork, to the homestudy, to the post-placement paperwork. I would highly recommend this agency. Pros: AWAA is amazing. They are with you every step of the way during the paper chase and the in country arrangements are superb. There is never a moment when someone is not available for questions and concerns. There are always bumps in the road but AWAA bends over backwards to help get it worked out. The Spirit is truly at work building families with AWAA. Cons: I would recommend not using United airlines for travel, but that is a blanket statement for any agency. They were not family friendly and when traveling around the world with little ones that is not good. Reviews: Pray about it and the Lord will direct you. He did me. Pros: Very friendly, loving staff. Abililty to connect with others going through the process. In country staff was excellent. Cons: We really never had any problems. Reviews: Great agency. Would use them again. Pros: AWAA does an excelent job placing the children and making sure that siblings stay together no matter what. *They have a Yahoo Chat Group, so that you can talk to and ask questions of other families from the same agency. There is a praise and worship time frequently and everyone is transparent on the Yahoo Group. This is a great thing. Many of the families who are or have adopted from AWAA have reunions once or twice a year. * They are transparent and if a problem arises they will alert you as soon as possible. We had some minor problems and AWAA called us as soon as they would hear anything. When there was a fee increase they had a conference call to alert families to this. They also gave reasons for the fee increase that made sense. Such as, the price of food went up in Ethiopia because of the famine, so they needed to cover the cost of food. Another reason was there is a formula and diaper shortage (a pack of diapers is 3X as expensive in Ethiopia as in the US). They have a transition home that is extremely nice, they clean it well and provide the best care they can for a 3rd world country. They recently painted, purchased safer beds, and have security in place. There are many kids in a room, but compared to other orphanages in Ethiopia, their Transition Home is a mansion. There is a full time doctor, psychologist, and teacher at the transitional home. There are also 25+ nannies and a full time nurse. They are opening a second transitional home to accomodate more children. The child to nanny ratio is 3-4 children for each nanny. This is excellent for an orphanage. Though there are some sanitary concerns, if you visit other Ethiopian orphanages you will realize that they conditions of the Transitional home is excellent. The Ethiopian director, is Ethiopian and knows the court system (and many government officials in the higher offices). They have monthly conference calls. If your child is sick, they contact you right away. There are monthly updates on weight, activities, health, eating, and develompental milestones. 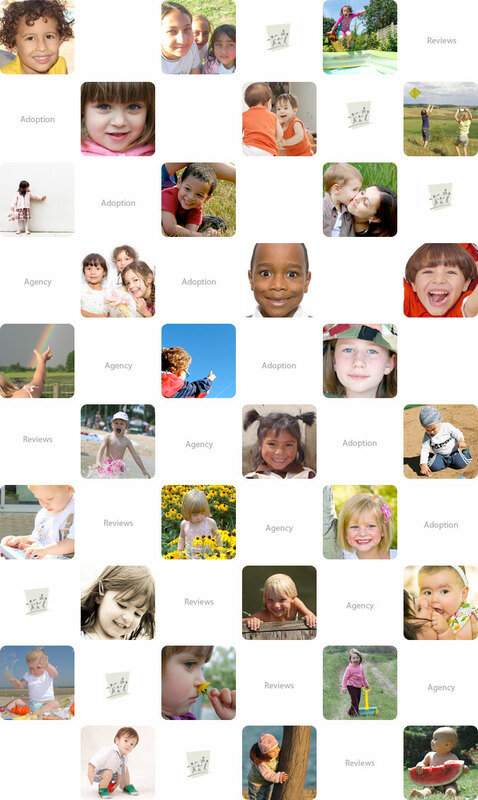 You can also ask 5 questions about each child you are adopting. Awaa does everything it can to help you pass court the first time and want you to bring your children home as soon as possible. If there is a paperwork problem (mostly these happen at the orphanage the children came from) the in country staff will work endlessly to fix the problem. The agency will drive and pick up relatives of your children so that you will pass court. When you pick up your child you have the chance to talk to a nanny to figure out schedules and you will recieve a vaccination record. Reviews: I would definantly use AWAA again and have already recommended that families use AWAA. Becuase it is a Chrisitian agency, they teach the children about Jesus and take the older children to church weekly. They also pray with you and ask for prayer requests. Though AWAA has some problems, you are going to find faults with every agency because we are humans. Pros: They hold monthly conference calls with families to update them while waiting. Cons: Communication - has always been a problem for them although they are getting better. They tend to communicate well with famliies whose processes are smooth. There is a culture of defensiveness and allegiance to employees regardless of client complaints that negatively impacts the communication process if anything is going wrong in the process. For example (and this is so minor but displays the point) we had problems recieiving emails from AWAA that were mass emails. We had this problems 2 months after applying and un to 13 months after applying. We told AWAA and the first thing they asked was if our email was wrong in their records. That is understandable, but after verifying it twice with different people, they needed to move on and find another solution rather than consistantly assume it's the family at fault even when that avenue has been explored and found to be untrue. (small inconsequential problem BUT we did not hear about the fee increase from AWAA becuase of this problem. We heard from another family and had to contact AWAA ourselves to verify). Financial Transparency - is not there. Despite being told our fees would remain the same on two occasions withing 8 months time, our fees increased by 4300 just 4 months after being told for the second time that our fees would not increase. We were expected to pay the increased fees of 4300 plus what we had already planned on within two months time. We feel the increase was due to lack of tracking funds spent in ET for the care of children and gross underestimation of the costs to run a transition home. Underestimating may have been a common problem among agencies but AWAA seemed to be surprised by it and raised funds saying it was a last resort. That indicates poor foresight and tracking of expenses. A gross underestimation of expenses would have been noticed earlier if money was handled well. Many asked for a breakdown of costs of in-country package fees and AWAA would only provide a rough percentage of where the money goes. This makes it seem as though they are picking numbers out of thin air. I could have easily planned a trip there for less than we had to pay them. In-country travel - they are strict about staying at the guest house they choose. One family wanted to stay with friends, use their own driver, etc and AWAA charged 500 for "admin fees" after making quite a bit of fuss over it. While our driver and accomodations were fine, it seems a bit shady that they fought so hard when a family wanted to stay elsewhere. In-country care of children - The transition home still seems chaotic and understaffed after 2 years in operation. The director is neither a social worker, nor a medical personnel. There is no structure and thus the TH is very insanitary. Families are not given medical records of the children while in the care of AWAA at the TH. Makes one wonder if there are even any. Even simple records would be helpful for the children who are sick. Formula preparation is highly unsanitary. Care of infants is unsanitary and substandard. Infants were prop-bottle fed. Stool and urine filled toddler potties (5-6) in the toddler bathroom with standing water. The older children did not have clean clothes or shoes that fit despite countless donations being taken by traveling families. Donations of toys seem to disapear as very few toys can be found. Families must take baby wipes with them for donation even though we pay to have the TH funded and baby wipes can be found at a local store in ET for roughly 4.00-8.00. Visa problems - this seems to be a more common problem - to go to pick up your child and have paperwork issues. Many of these problems could be foreseen by in-country staff. The in-country staff is not very helpful when things go awry. Reviews: I will not use them again NOR will I recommend them. I will even go so far as they Highly recommend people stay away from them. It seems easy for this agency to be caught up in corruption in EThiopia.